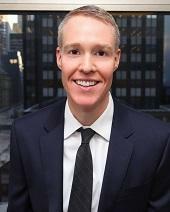 Brett T. Perala, a partner in the firm, has extensive experience representing clients in a wide range of business and commercial disputes, focusing on entertainment, media, fashion and technology industry litigation, and disputes involving copyright and trademark, breach of contract, defamation, privacy and employment matters. Mr. Perala received his A.B. from Dartmouth College in 2000, and his J.D. from Northwestern University School of Law in 2005, where he competed nationally as a member of the Northwestern Law Trial Team. After graduating law school, Mr. Perala was appointed an Assistant Corporation Counsel in the Commercial and Real Estate Litigation Division of the New York City Law Department. As a City lawyer, Mr. Perala was repeatedly recognized as one of the Law Department’s most promising attorneys, receiving the Legal Rookie of the Year Award and later being selected for the agency’s Special Merit Program for early promotion to the position of Senior Counsel. Mr. Perala joined Rosenberg & Giger P.C. in 2009, and has achieved a significant record of favorable results for the firm’s clients, including high visibility entertainment industry figures, businesses, investors, entrepreneurs and executives, in negotiated settlements and proceedings in federal and state courts around the country. Mr. Perala is affiliated with numerous professional organizations and is on the Board of Directors of Origin Theatre Company in New York City.